Superior Clean offers professional, domestic and commercial Dry Fusion carpet cleaning in Wirral and surrounding areas. We are one of Wirral’s premier carpet cleaning companies, offering bespoke services to meet your specific needs. Using this low moisture, fast drying carpet cleaning system we can achieve super quick drying times of as low as just 30 minutes, meaning you can have your carpets back in use in record time. To arrange a free, on-site Dry Fusion carpet cleaning survey call 0151 513 7537 now. We also offer hot water extraction, restoration carpet cleaning. For very heavily soiled carpets, this service might suit you better. Please Click Here to read more. 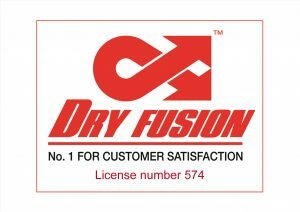 We are a licensed Fusioneer for Wirral, qualified to use the Dry Fusion carpet cleaning system and solutions to provide the fastest drying times possible. We use minimal water; this means your home or premises will be back in use in as little as 30 minutes. Dry fusion has been developed for today’s carpets so you can be sure you will receive the very best carpet cleaning no matter what type of carpet you have. It excels in cleaning commercial carpets, such as office carpet tiles but is equally at home on many domestic carpets. 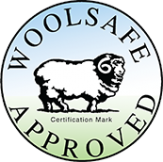 It is the only professional carpet cleaning system that heat-cleans, deodorises, stain protects then heat dries all types of synthetic and natural carpets, carpet tiles, oriental rugs and is WoolSafe approved. 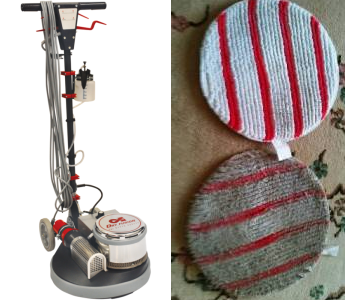 By combining all the best features of hot water extraction and dry carpet cleaning, along with the patented hot cleaning pad system which continuously heats the fibres as they are being cleaned, you have the most remarkable cleaning system. Best of all it is whisper quiet, which means less disruption in your home or premises. Who is Dry Fusion Carpet Cleaning for? Anyone who needs their carpets back in use ASAP / when staying off the carpet while it dries isn’t an option. In commercial settings like offices, hotels, nursing homes, nurseries, doctors and dental surgeries etc. where you require as little disruption and noise pollution as possible, so you can still function while we are cleaning for you. This method of carpet cleaning doesn’t suit every situation, but as part of our superior service we always pop out to assess your carpet’s type and condition prior to carrying out the work, so we can advise you on the option that will get you the best possible results. If you would like a free, no-obligation, on-site, Dry Fusion carpet cleaning survey, Call Peter Now on 0151 513 7537. Absolutely delighted with the result and almost dry. Recommend with confidence. A good job. A big difference. Very happy with the work carried out and the service provided. Very pleased with the work and nice, friendly guys as well. Great job, massive improvement. Many thanks. Arrived at 7:30 AM and didn't stop all day. Good attention to detail. Very good service.